It can be used in expanding fireproof material, such as polyurethane, UP resin and epoxy resin. Also used in the retardant of fiber, wood and plastic. APP is main ingredient of expanding retardant thermoplastic because of its high molecular weight and good heat stabilization. Especially used in the PP achieving UL94-V0 for electronic unit. As per polymerization, APP can be divided into three types, i.e high polymerization APP, medium polymerization APP and low polymerization APP. The higher polymerization is, the less solubility will be. As per the structure APP may be divided into two type, namely crystalline APP and amorphorous APP. Crystalline APP is a water insoluble and long-chain polyphosphate, and it has 5 variants named as variant I to V, As a white powder water insoluble APP is not deliquescent and has got very good compatibility with other aids; Water soluble APP is apt to cake under normal temperature, but this will not affect it performance and application. APP is a poisonless product. Looking for ideal Ammonium Polyphosphate APP Manufacturer & supplier ? We have a wide selection at great prices to help you get creative. 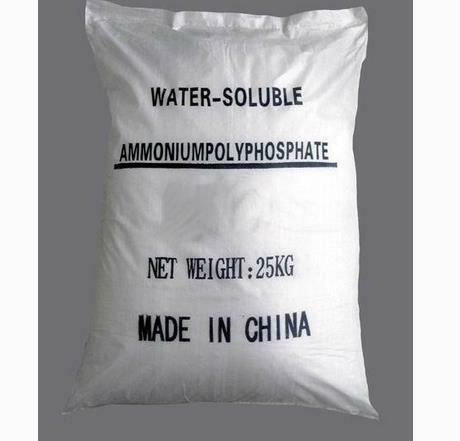 All the Flame Retardant Ammonium Polyphosphate are quality guaranteed. We are China Origin Factory of Ammonium Polyphosphate APP 14728-39-3. If you have any question, please feel free to contact us.